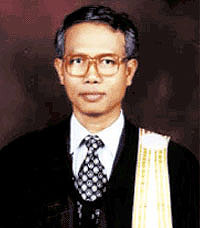 Somchai Neelapaijit was a prominent human rights lawyer and defender in Thailand. He was the chairman of the Muslim Lawyers Group and vice chair of the Human Rights committee of the Law Society of Thailand. He worked to promote the rule of law and justice for the Muslim suspects accused of terrorism and treason, and was a vocal critic of state officials for excessive and unnecessary violence in law enforcement. At the time of his disappearance he was representing five Muslims accused of terrorism-related activities in Thailand’s southern border provinces. In addition, he was collecting 50,000 signatures from around the country to support an end to martial law in the deep Southern Thailand. To this day (1/14) Somchai Neelapaijit’s fate remains unknown. Meanwhile, key witnesses to the case and their families have been subjected to intimidation and threats, and continue to worry on a daily about their safety. (New York) – The Thai government needs to account for missing documents in the case of the enforced disappearance and presumed murder of a prominent Muslim human rights lawyer nearly a decade ago, Human Rights Watch said today. On March 12, 2004, Somchai Neelapaijit was pulled from his car in Bangkok, allegedly by five police officers, and never seen again. No body was ever recovered. On December 12, 2013, the Justice Ministry’s Department of Special Investigation (DSI) told reporters that Somchai’s case files went missing after anti-government protesters broke into DSI headquarters and destroyed one of the file cabinets. No other cases stored in the same maximum security zone were damaged or stolen, the department said. Somchai’s family told Human Rights Watch they feared that the DSI would use this as an excuse to stop the investigation, an outcome the family said officials told them was likely. Leaders of the protest told Human Rights Watch that none of their supporters had entered the file storage room and stolen Somchai’s case files. They said they believed the files implicated police officers linked to their opponent, former Prime Minister Thaksin Shinawatra. At the time of his enforced disappearance, Somchai was involved in a lawsuit alleging widespread police torture of Muslim suspects in the insurgency-ridden southern border provinces. Over the past nearly 10 years, six prime ministers – including the current Prime Minister Yingluck Shinawatra, Thaksin’s sister – have failed to press the DSI to investigate the case in anticipation of criminal prosecutions of those responsible. In April 2005, Somchai’s wife, Angkhana Neelapaijit, submitted a formal complaint to the United Nations Working Group on Enforced or Involuntary Disappearances expressing disappointment that Thai authorities had failed to produce information on Somchai’s fate or whereabouts. In a March 2007 report, “It Was Like Suddenly My Son No Longer Existed,” Human Rights Watch documented 22 cases of enforced disappearance that strongly implicated the Thai police and military. In none of these cases has there been a successful criminal prosecution of the perpetrators. Human Rights Watch urged Thai authorities to take all necessary steps to stop the practice of enforced disappearances, including by making enforced disappearance a criminal offense. In a much-publicized attempt to demonstrate its commitment to human rights and the rule of law, the Yingluck government on January 9, 2012, signed the International Convention for the Protection of All Persons from Enforced Disappearance, but has yet to take steps towards ratification. The Thai penal code still does not recognize enforced disappearance as a criminal offense. Five police officers – Police Major Ngern Tongsuk, Police Lieutenant Colonel Sinchai Nimbunkampong, Police Lance Corporal Chaiweng Paduang, Police Sergeant Rundorn Sithiket, and Police Lieutenant Colonel Chadchai Leiamsa-ngoun – were arrested in April 2004 in connection with Somchai’s case and charged with coercion and robbery. None have been charged with the more serious crimes of abduction or other offenses connected to the enforced disappearance. On January 12, 2006, the Central Criminal Court found Police Major Ngern guilty of physically assaulting Somchai and sentenced him to three years of imprisonment. The other four accused police officers were acquitted due to insufficient evidence. The judge concluded that the assault led to Somchai’s “disappearance” and criticized the efforts of the police to bring justice to this case. Specifically, the telephone records of the five police officers – which showed that they were in contact with one another in the days leading up to the abduction and in the vicinity of the scene of the crime – were not admissible, because they were not original or certified copies of the records. Police Major Ngern, who had been free on bail while appealing his case, was reported “missing” in a mudslide on September 19, 2008, while supervising his construction business on the Thai-Burmese border. On March 11, 2011, the Appeals Court overturned the conviction of Police Major Ngern and dismissed the case against all other defendants citing the lack of evidence against them. The court also removed the wife and children of Somchai from being co-plaintiffs in the case, making it impossible for them to represent the family’s interests in any further legal actions. The reason that the court gave for removing them was that under section 5(2) of the Criminal Procedure Code, a co-plaintiff must only be of a deceased person or a person who is unable to act for him or herself. In this case, the court ruled that there was not sufficient proof that Somchai was dead, and therefore his family could not act on his behalf as joint plaintiffs with the public prosecutor. At present, Somchai’s case is under consideration by Thailand’s Supreme Court.